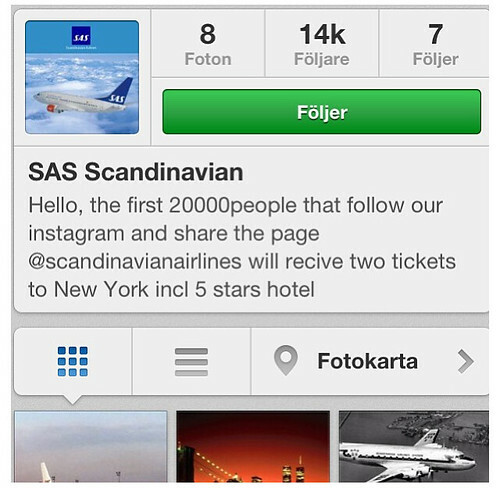 The Instagram account SAS Scandinavian, @scandinavianairlines, promised two tickets to New York including 5 stars (sic) hotel to the first 20,000 people that followed the account. The account quickly attracted more than 14,000 followers. Of course, this was not the official account of the Scandinavian airline, which can be found at @FLYSAS. Instead, the account soon changed name to @s0viknes and it belongs to, it seems, a young Norwegian guy who did this as a prank to get a lot of followers. He boasts: “follow this king who tricked them all”. Note: I have cropped this photo because it seems the person in the photo was not the person behind the account. As always, if it looks too good to be true, it probably is. 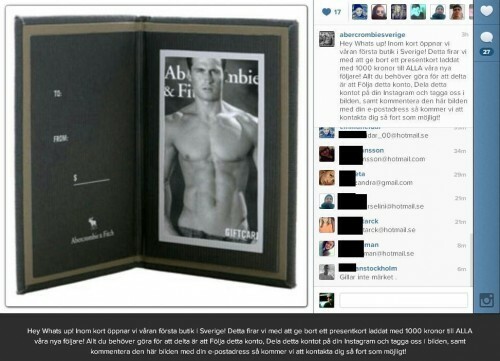 If SAS would give away 40,000 airline tickets that would cost about 44 million USD. Plus hotel rooms for 40,000 people. That’s just ridiculous. And you would think that the lousy English spelling would reveal that this was not an official account. Please think before you follow and share hoaxes like these. 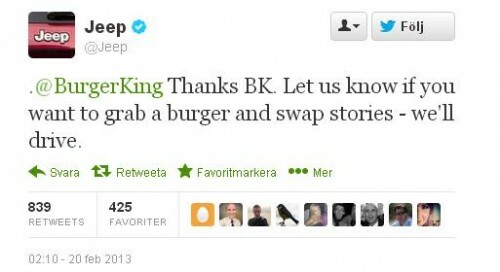 And for brands, it is always wise to secure the most apparent versions of your brand name on popular social networks. At least that makes it a bit harder for others to use your brand to scam people. 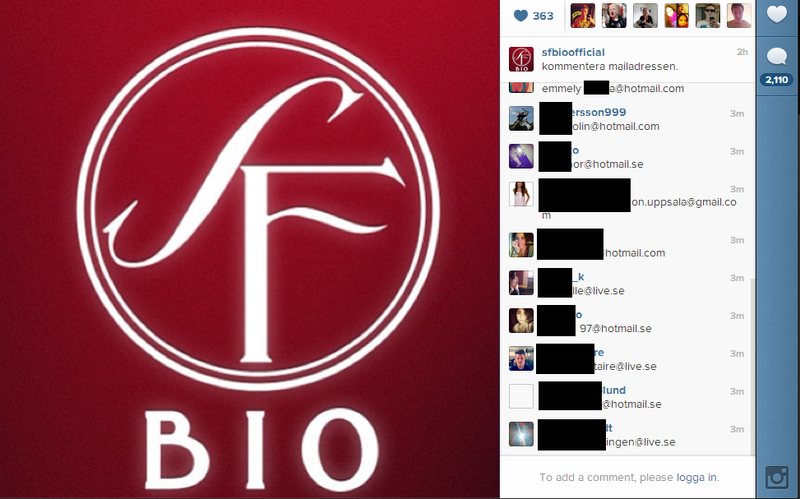 And one account is pretending to be the Swedish cinema chain SF: @sfbioofficial. It says it will hand out 10,000 movie tickets to people who follow the account and add their email address in the comments to an image. More than 6,500 comments can be found so far, most of them include email addresses to teens and kids. And new comments are still being added every second as I blog this. The official account can be found at @SFBIO. Parents, you need to have a talk with your kids about scams on Instagram. Found via @kingdeborg and @jonatanahlin on Twitter. Update 2: The account @sfbioofficial changed name to @williammkarlsson, then reappeared with the first name with new followers and new images. 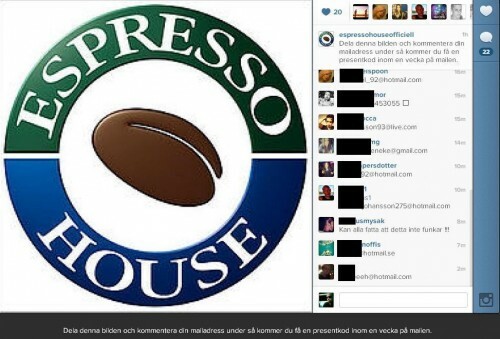 @williammkarlsson is now gone, hopefully because it got reported as spam. The scam continues and new comments are added every minute. 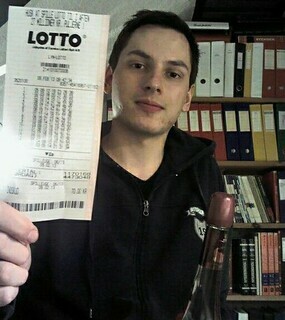 It seems that the account adds a new image now and then to attract new followers and commenters. President Barack Obama promised his daughters a puppy when he was elected in 2008. Another dad required his two daughters to do something themselves in order to get a new puppy. He agreed to get a dog if the girls could get a million likes on Facebook. Impossible, you say? How about doing it in 24 hours? That’s what the girls achieved. And dad kept his promise, the girls and their three brothers are now getting a new dog. Here’s how it all began. 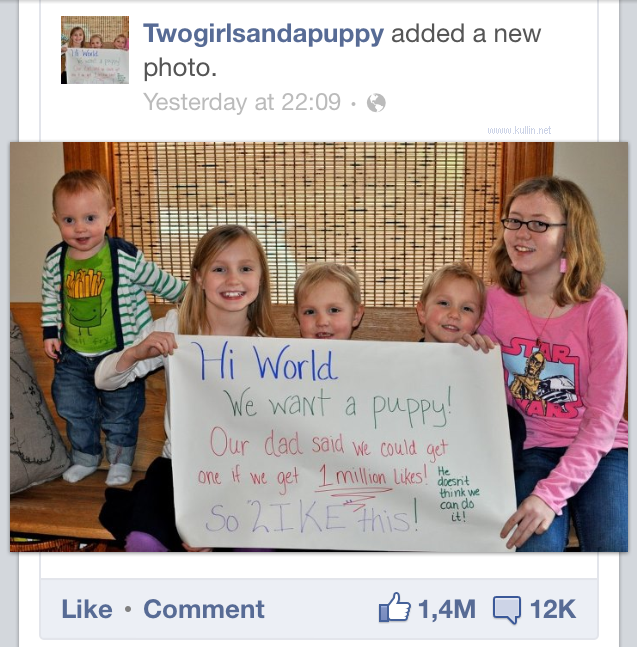 Yesterday, they created a Facebook page called “Twogirlsandapuppy” and posted a message. “Hi, We’re two sisters and we desperately want a puppy. We have three little brothers, too. Yes, we have five kids in our family. We lost our dog several months ago to cancer. We really want another one but our parents are reluctant. Then the other day we saw a brother and sister on facebook post a picture saying that their dad would let them get a dog if they get a ton of likes. We got our dad to agree to it! He said if we get 1 million likes we get a new puppy. He doesn’t think we can do it. In our original post we had a link for donations, but that was partly because mom and dad didn’t think anyone other than close friends and family would actually see this page! We removed that link when we saw how many people were coming to this page. We don’t want to ask strangers for money, only likes. The profile image and a separate image have now almost 2 million likes in about 24 hours. Now, that’s a viral story. Good luck with the puppy, kids. And parents, don’t make a promise you are not prepared to keep. Getting a million likes might not be that difficult.